The international system has witnessed dramatic changes in the recent past. Questions relating to how and when ordinary citizens can stand against oppression, injustice, and abuse without resorting to violence challenge all of us to rethink our understanding of international peace and conflict. As academicians, educators, practitioners, private citizens, and students, what is our role in this increasingly complex global picture? What can we do to nurture and preserve international security and world peace? One thing is certain. We must make sure our learners and educators have access to the best available information about the issues surrounding peace, justice, freedom, and security. Our country’s future depends upon their interest in and understanding of these complicated topics. 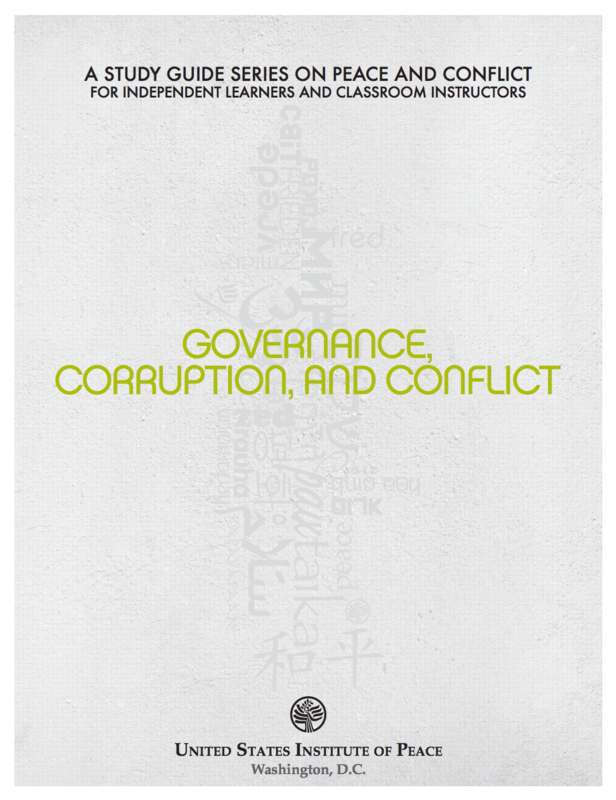 In the belief that knowledge of these issues is vital to civic education, we have developed this study guide to expand our readers’ perspectives and knowledge of some aspects of international peace and conflict. The United States Institute of Peace is an independent national institute, founded by Congress and dedicated to the proposition that a world without violent conflict is possible, practical, and essential for U.S. and global security. USIP pursues this vision on the ground in conflict zones, working with local partners to prevent conflicts from turning to bloodshed and to end it when they do. The Institute provides training, analysis, and other resources to people, organizations, and governments working to build peace.